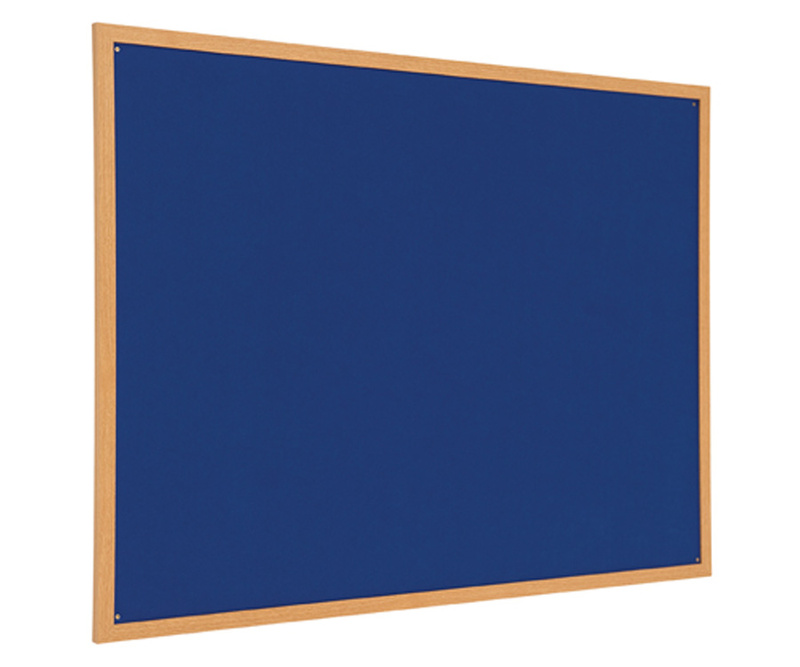 Constructed from a high proportion of recycled material, this noticeboard offers an environmentally-friendly alternative to the traditional noticeboard. Designed for use in non-sensitive and unregulated areas. It has a light oak wood effect frame and a blue felt cover, suitable for use with pins. It comes in 6 sizes and can be wall mounted in with a landscape or portrait orientation. Please note: We can offer a comprehensive fitting service on all bulk quantities by our own experienced fitters. For more information please Contact Us or call us on 01733 511121.